Media Kits are a critical tool for racers to land sponsorship. 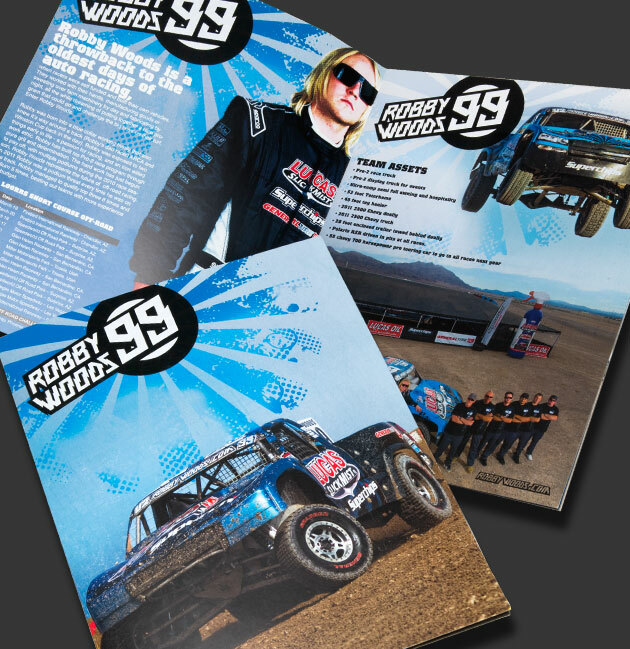 After designing a unique identity for Robby Woods, we created a simple – to the point media kit to help Robby communicate his value to sponsors. The printing was handled digitally, so Robby could order small quantities based on demand.